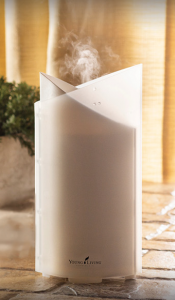 As the world leader in essential oils, Young Living sets the standard for purity, integrity, and 100% organic and unadulterated, therapeutic-grade essential oils. Don’t worry, you’re not late to the party… You can start to transform your wellness in life by taking baby steps. I would have never guessed a few years ago that I would be helping others bring wellness into their lives. As a freelance writer and copywriter raising three busy kids, creating a healthy home environment is a must. I have to be free to juggle all the hundreds of weekly tasks involved in family life, and run a business from home, and not sacrifice my sanity and health while I’m at it. Before Young Living I felt like every day I was barely making it, stressed to the max and wondering how one person could manage it all. Very soon after I was introduced to Young Living, I realized how powerfully I could help not only myself and my kids, but also my customers (most of whom are entrepreneurs running businesses of their own), and other work-from-home moms like me! The Young Living lifestyle was truly a life-changing shift. It’s the little things. Just diffusing some Purification™ (an oil blend) or Lavender in my home office can make all the difference between feeling crazy and feeling calm. Just like you, I have deadlines to meet, goals I’m striving for, and a list of junk I have to get to in order to feel like I can sleep tonight. Feeling healthy and more balanced allows me to chunk my days down in to manageable, even joyful, moments. I enjoy my kids more, feel more connected to God’s peace, feel more wonder in nature, and have more energy for all the things I want to do. Now I cannot live without our essential oils because they add complete wellness, rejuvenation, and mental clarity to my daily life, but they also make my kids feel better and happier, too. As a business opportunity, Young Living is a company I’m proud to share with anyone and everyone. I never expected that these products would improve my life so much. I did not foresee that this part time business would become something that would complement and boost my home writing business, too. Now that I am starting to replace my digital marketing business with Young Living as a business, I’m delighted to share that every day brings so much more satisfaction and meaning to life. Click here to read my Young Living Testimonial. What makes Young Living so special? 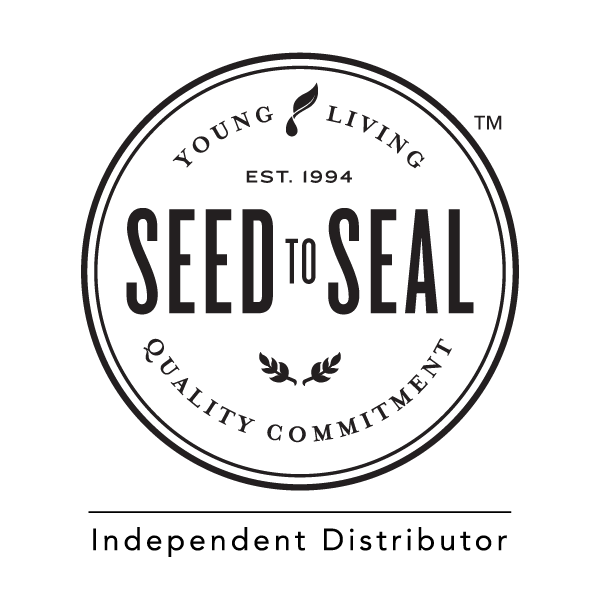 It’s the Seed to Seal™ Promise. 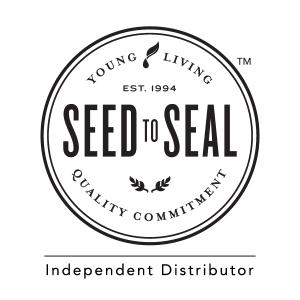 Read More About Seed to Seal Guarantee here. Curious about Young Living products or want to learn about becoming part of our team? I’d be my pleasure to share my personal story with you, and find out how I can help you in your wellness goals. Contact me to experience the oils firsthand or setting up a time to chat.